If your structure has exposed wood, you may find some damage that will have to be addressed before you start the painting process. This is especially true for buildings in the south. There are two common kinds of problems that must be dealt with before you start coating your structure. These are wet rot and dry rot. 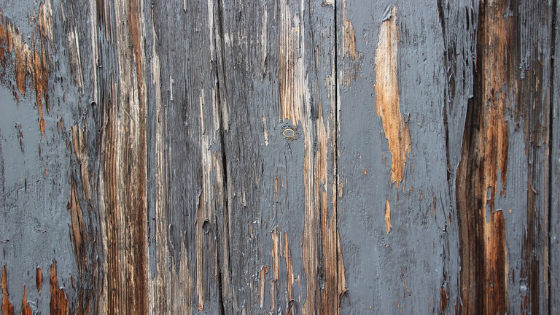 Although we are discussing wood rot, we should not forget that there are other problems that you might come across as well that will need to attend to. Always look for termite or pest damage, and always make sure the materials used in the building process are up to code. Each type of rot is due to fungi, but with dry rot the fungi show up as white with either a yellow or lilac looking hue to it, whereas the wet rot presents itself as discolored, cracked and soft. Once you have found the damaged wood, it will have to be evaluated by a professional to find out if it can be repaired or if it will need to be replaced. In many cases, if you have hired a professional painting company, they will take care of these issues before coating your structure. After pinpointing any damaged wood, it might be possible for you to apply certain epoxy compounds to it's surface. This epoxy forms a barrier that may save wood that originally needed to be replaced. If this is the case, the epoxy that will be covering the wood will work as a sealant that helps protect the substrate from any further damage. If the wood is too far gone then the only course of action will be to replace the damaged wood. The surface of anything that you paint or coat needs to be stable enough to bond to the substrate. If the substrate is not stable enough and you coat it, it will not be able to create the barrier needed to protect it from any elements and it will break down quickly. By making sure that you have a clean and stable surface, it will not only help to protect your building from the daily barrage of elements such as moisture, wind, rain and UV rays, but it will also give you peace of mind knowing you are protected from future damage. To find and prevent this kind of damage, it's important to have scheduled, routine checks of your building. Do so can save you significant time and money in the end. Just remember the longer that you put off taking care of wood that has rotting issues, the more expensive it can cost you and your business, as it is more expensive and time-consuming to have to replace it than it is to repair it. At any time you can contact a qualified painting contractor and they will be happy to evaluate your structure to see what will need to be done. At Performance Painting, we offer free home evaluations. Don't wait - take care of your business today!